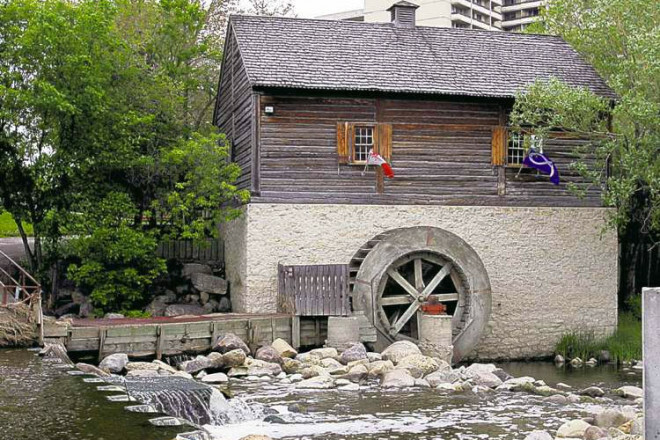 Made of logs brought from the Whiteshell in 1975, Grant’s Old Mill was constructed the way it would have been in 1829 – all tongue and groove and no nails. The millstones are solid granite, with the top stone weighing 2,000lbs and the bottom stone weighing 1,000lbs. The mill is named after Cuthbert Grant Jr., who operated the first water mill west of the Great Lakes. The mill produces about 700lbs of whole-wheat flour a season and is operated by the St. James Assiniboia Pioneer Association Inc. Guided tours will be available at the site. Guided tours will run throughout the day, lasting 10-20 minutes, maximum 10 participants.